There are a few vegetables that are perennials that, under the right conditions, continue to grow all year long. Some for many years after the initial planting. 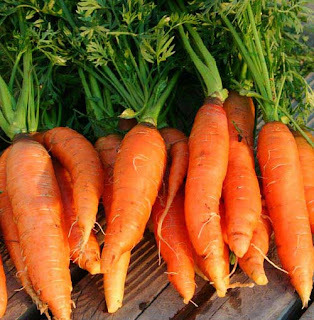 Find out how to get the most from your garden. Don't miss our NEW SEEDS announcement below! 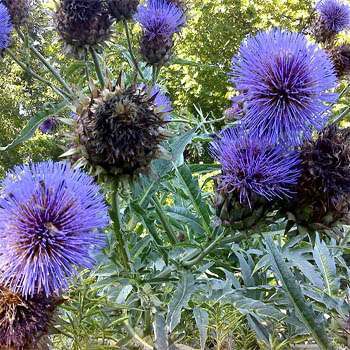 Grow artichoke (Cynara scolymus) in full sun and moist, well-drained soil. Artichokes require ample, consistent moisture for best growth. They survive drought but don't produce as well in dry conditions. Plant 24-36 inches apart in rows about 36 inches apart. Amend the soil prior to planting with 2 inches of compost. Fertilize monthly with a high-nitrogen fertilizer. When growing artichoke as a perennial, amend the soil around plants each spring with a 1- to 2-inch layer of compost. Artichoke plants should produce for about 3 - 5 years. At that time, you should notice side shoots at the base of the plant. You can lift, divide and replant the new shoots. 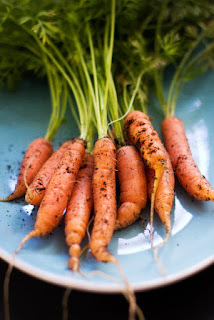 This hardy crop lasts for decades in the garden and is one of the first vegetables that can be harvested in spring. Plant asparagus (Asparagus officinalis) in full sun and moist, well-drained soil. Mix a 2-inch-thick layer of compost into the planting site. Because asparagus is long-lived, it's important to adequately prepare the soil before planting. This sharp-flavor vegetable is technically a hardy biennial, meaning it grows for two years. It is a type of chicory and is related to Belgian endive. Dark red leaves with white veins form into a tightly clumped head that resembles cabbage or romaine lettuce. Grow radicchio (Cichorium intybus) in fertile, well-drained soil in full sun. 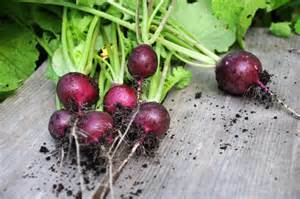 Sow seeds in spring or autumn, then harvest the inner heads in late fall when they are firm and have the deepest color of white and red, leaving the roots in the ground to produce another crop. Though many people treat it like a fruit, rhubarb (Rheum rhabarbarum) is actually a hardy perennial vegetable (because you eat the stems, not the plant's fruits). Plant rhubarb in full sun and moist, well-drained soil. Locate it where it won't be disturbed because it will be productive for many years. Apply a balanced fertilizer in early spring. After harvest, spread a 2-inch layer of compost around plants. When the stalks become thin, usually after six to eight years, dig and divide the plant in spring or fall. Leave first-year plants unharvested. By the third year, harvest all stalks larger than 1 inch wide for as long as eight weeks. Use only the stems; the leaves contain oxalic acid and are poisonous. To grow sorrel, sow seeds directly in the garden in full sun and average soil 6-8 inches apart in rows 2 feet apart. Established plants may be divided. The greatest bloom is usually observed in the indeterminate, with fruit and seed production starting in the year round and continuing until year round. Leaves are retained year to year. The Eggplant has a short life span relative to most other plant species and a rapid growth rate. At maturity, the typical Eggplant will reach up to 4 feet high, with a maximum height at 20 years of 0 inches. The young leaves and stems of this 6-foot-tall perennial are an excellent substitute for celery in springtime soups. The seeds and roots are also edible, and the umbel flowers attract beneficial insects. Lovage thrives in average garden soil, in sun or partial shade. 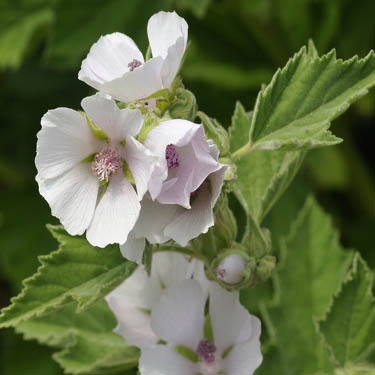 Nice list of perennials! 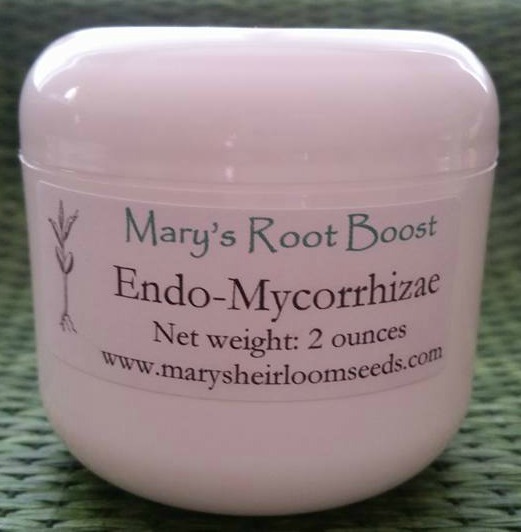 Thank you for sharing at Our Simple Homestead blog hop, Mary. I’ll be featuring your post at this week’s hop. This list is so great! My husband and I were just trying to figure out what we could plant in our garden to grow year round!